In today’s competitive world, continuing education is not only the key to getting ahead, but often it’s essential to keep your professional status in terms of licensing and organization memberships. One such example is the common profession of hairdressing. Although many might assume that hairdressers simply graduate from beauty school once and they’re set for life, that’s not the case. To keep their license to practice hairdressing, professional hairdressers must attend seminars and pass courses within a certain amount of time. The details differ from state to state, but every state has some variation on continuing education requirements. 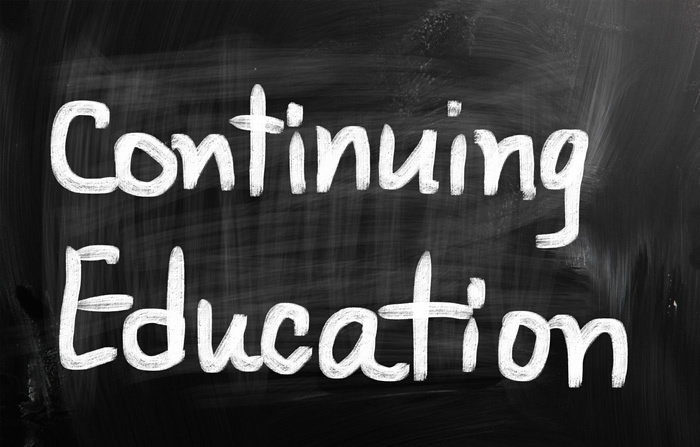 Those who practice in an industry that requires continuing education are well-advised to find a place to acquire those CE hours that will be accepted to their official certification body, and to make sure they get the credit they deserve to continue practicing in their chosen field. As with all forms of education, there are extra benefits that can be derived from continuing education. Though the coursework may be pre-determined and limited to a subset or group of courses, the student can look forward to expanding the breadth of their knowledge, even if they’ve been practicing for years. This kind of benefit can help a student feel more refreshed in their occupation, particularly if they’ve been at it for several decades and feeling a bit stale as far as being challenged with new material. Another extra benefit of continuing education coursework is the socialization factor. In the above-mentioned example of hairdressing seminars, it can be fun to meet in person with other professionals from around the country to compare work styles and anecdotes about working in that industry. Another professional career that requires continuing education in order to keep licensing is architecture. As the following article looks at, AIA continuing education is a necessary credential that all practicing architects must adhere to in order to maintain their up to date license to practice in their field. Without it, a professional architect won’t be able to put to use their college degree or to work for any architect firm. Continuing education gives professionals in fields like architecture and engineering the professional clout that makes it possible for them to earn a living in those fields. Without it, they would quickly lose their license and either have to reapply from the beginning stages to be reinstated, or to forego practicing altogether. In addition, membership in many associations such as the American Institute of Architects and the Society for Professional Engineers requires up-to-date CE and PDH in order to maintain membership. This membership is critical to being taken seriously as an architect or engineer. So much so, that many hiring firms will look their first when considering any candidate, to make sure their license is in good standing with those associations. Continue growing your career with more education according to the requirements of your profession. When you do so, you’ll have no problem moving forward with your career goals.